This feels about as Autumnal as things get. For the last few weeks I've been busy stocking the freezer with Pigeon, Pheasant and Wild duck; this recipe makes for a perfect Sunday lunch after a crisp, country walk. Serve with celeriac chips or mash. 1 Heat the oven to 180C/350F/Gas 4. Rub the butter into the duck skin, season well then sit on a metal roasting dish. Toss the shallots in a little olive oil then arrange around the bird. Roast for 35 minutes, basting the duck and turning the shallots regularly. 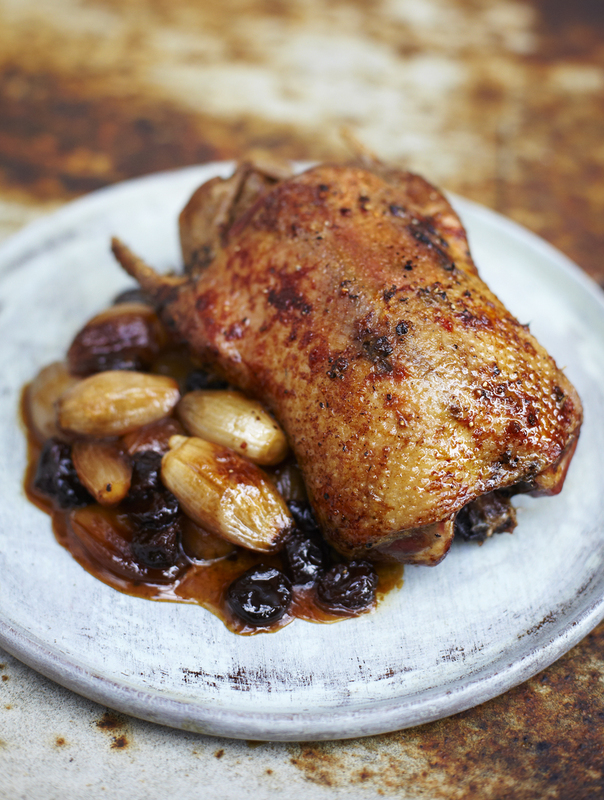 2 Remove the duck from the dish, cover with foil and leave in a warm place to rest. Drain off any fatty juice into a bowl and put the metal dish onto the hob. Pour in the sherry, thyme, honey and cherries, then simmer with the shallots on a medium heat for 10 – 15 minutes, until the sherry has reduced and the cherries have swollen.